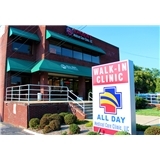 ALL DAY FAMILY CARE (Gaithersburg) - Book Appointment Online! Primary Care for Your Whole Family Our primary care clinic is designed with you in mind. We are your partner in health. Patients can trust that their physician at All Day Family Care is an experienced healthcare practitioner with the experience to treat any medical condition you have, whether it's routine exams or a major illness or injury. From the moment you step foot in our practice, we want to make you feel welcome and have the freedom to consider this your “medical home”. We strive to maintain your health in excellent conditions by practicing preventive medicine and following the latest published medical guidelines.